It's a scary thought, but what if your pet were to run away or get lost? Thwarting escapes before they happen is the best defense, says Bonnie Hale, owner of Lost Pet Specialist. "In most cases, people have neglected to do basic things that could reduce the animal's risk of getting lost," she says. Here, five preventive measures that can help to keep your pet safe. It may seem harmless to remove a collar for bath time, but the ID dangling from that collar is your last line of protection when your creature is handed off for vet visits, grooming, sitters and kenneling-the moments when they're most likely to escape. "When I hear an animal was not wearing a collar with ID, my heart sinks," Hale says, noting that searches for an uncollared animal become infinitely more difficult. It's a fact of life that you have to leave your pet with someone else on occasion. And being left by an owner is stressful enough to make animals do things they normally wouldn't do, like squeeze through a slightly open door or tunnel out of a yard. One-third of Hale's cases arise while animals are in the care of someone else-so plan for those times. "If you're moving, that's not the time to give your cat free rein. It's the time to lock him in the bathroom," Hale says. Calming pre-separation rituals before a trip may help too; some animals respond to music, a brisk walk or a treat. 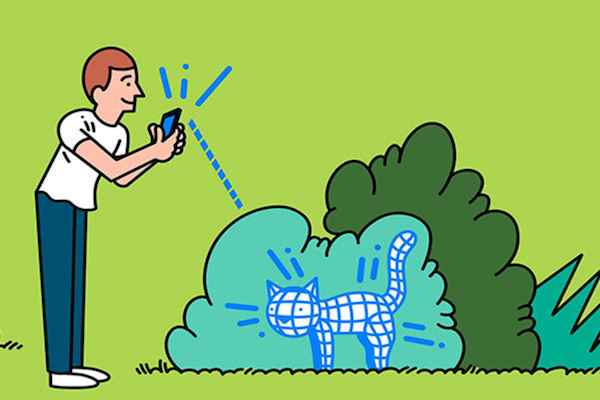 Microchipping (embedding a scannable device the size of a grain of rice under your pet's skin) can be an effective way to locate a lost furry friend. If your pooch or kitty wanders off and ends up in a shelter or vet hospital, workers are trained to check if the animal has been chipped. About 20 microchip companies and registries are incorporated into the AAHA Universal Pet Microchip Lookup Tool of the American Animal Hospital Association. Start your research there. GPS tracking collars and GPS tags that attach to an existing collar can be effective-as long as the battery lasts and you live in a place where the GPS signal is strong. Get a quote on pet insurance coverage that helps protect your four-legged friend. Just adopted an adorable addition? Find out if wellness visits to the vet are covered by your policy.